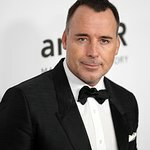 In response to President Trump’s State of the Union address, David Furnish, Chairman of the Elton John AIDS Foundation has written an opinion article for The Hill urging the Trump Administration to fulfill the promise and potential of this moment by committing to the fight to end the HIV/AIDS epidemic in America. “With his first State of the Union Address behind him, President Trump has a historic opportunity to help America make real and lasting progress in the fight to end the epidemic of HIV/AIDS,” he wrote. "After years of gains in treatment and prevention, new breakthroughs and policy ideas point the clearest way forward to an AIDS-free generation since the epidemic began. Yet the risk of losing key ground is real, and new infections driven by the opioid epidemic pose a generational threat. By seizing the potential of this moment, President Trump could change the course of this fight. 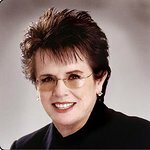 “In fact, taking big and meaningful action on this issue is entirely consistent with President Trump’s goal, stated in his inaugural address, of supporting “the forgotten men and women of our country.” HIV/AIDS cuts across some of our most vulnerable populations: LGBT people, people of color, and, recently and notably, people affected by the opioid crisis. In fact, without renewed action, opioid dependency and needle sharing threatens a surge in new infections. In one part of Kentucky, nearly half of all new HIV infections last year were a result of injected drugs."